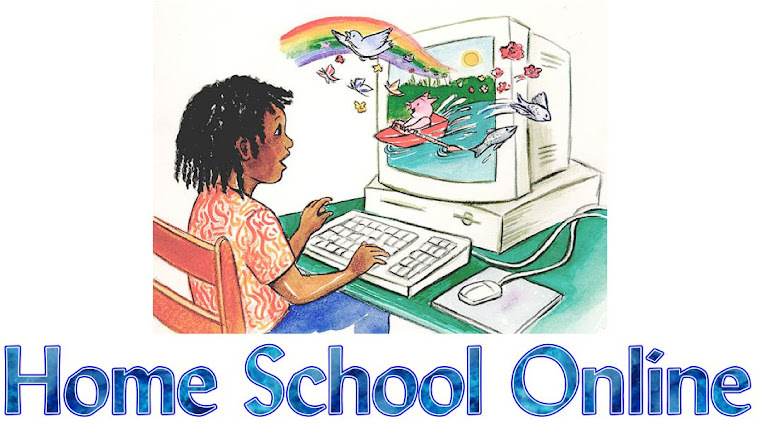 Home School Online: School at Night! We have successfully finished a week of school. Granted our week started off on the strange side. We had to do school work 3 NIGHTS in a row. Another reason I like homeschooling. My Granny is in the hospital and I was needed at the hospital during the day. That only left night time to do school. My kids rolled with the punches pretty good and did a great job schooling at night. One of the new things my oldest is doing with his school this year is writing assignments due every week instead of once in a while. This week he has to turn in a 5 paragraph paper on a time when either he was prejudice against someone or someone was prejudice against him. If this assigning something once a week does not work well for him, then we will look into an online writing curriculum. We also added video response to our school work. Since he hates to write and we already have one subject that is asking for writing assignments, we decided to use public speaking instead of writing. This means he has to record himself stating the answer (or what he would have written) to the question or topic that was asked. I am very proud of his his first attempt. He had to tell someone about Christ without using the actual scriptures to do it. He could mention parts of scripture but he could not recite the scripture with the address. I wish I had a way to upload it so you could hear it. But it was pretty cool. He did great. As for the littles, they did good with school this week. Still working on a routine for them but I know it will work itself out. Their favorite part is time4learning.com. I love the video idea! This is a great alternative to writing papers. We sometimes do something similar, I let her prepare a "lecture" of information she has learned. In letting her be the "teacher" my daughter gets to pack down the information. We are considering Time4Writing but our school year is kind of hectic at the beginning here. Anyway, love, love, love the video idea!